Projects require many working hours, that need to be acknowledged and confirmed by your clients. 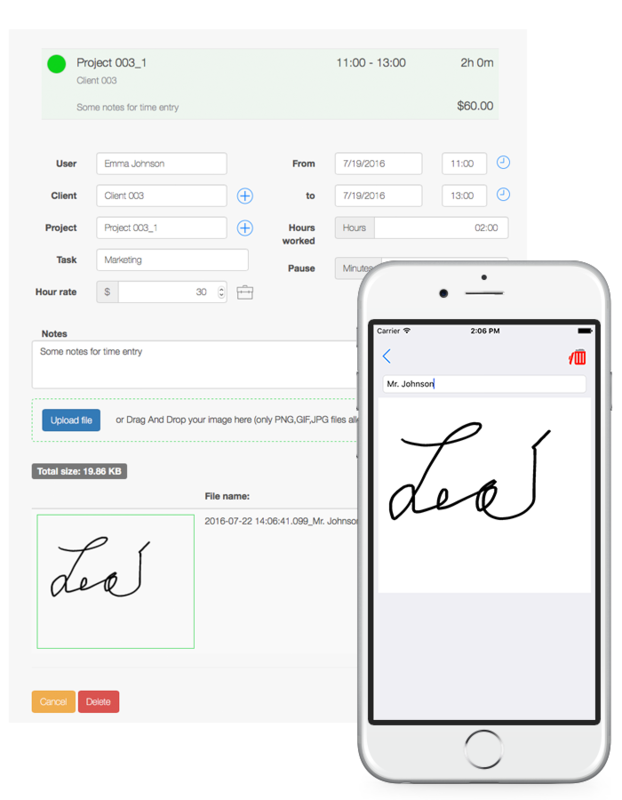 TimeTrack’s digital and mobile client signature enables a fast and written confirmation of your project hours. The client simply needs to take his smartphone, enter his name and sign directly on his or her device. The client signature is synchronized in real time and is accessible under the specific project as an attachment instantly. TimeTrack offers a quick and user-friendly solution, so that you can receive the signatures of your clients easily and without much paper.